He was one of the first digital stars in the country and now, Jitendra Kumar is all set to mark his arrival in the movies with ‘Gone Kesh’. 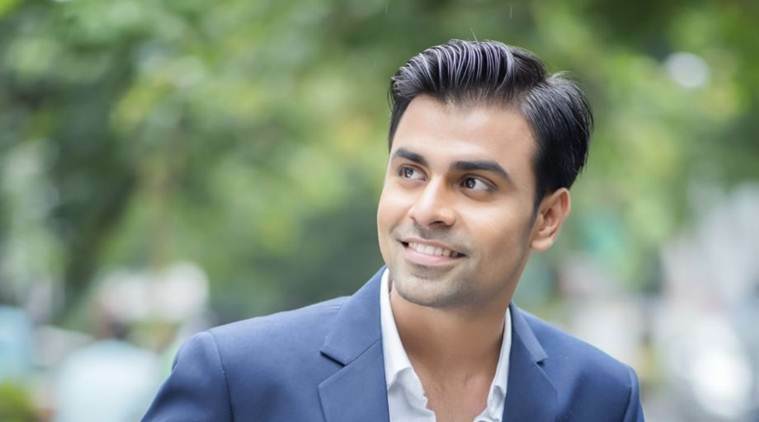 In this exclusive interview, he talks about the film, the evolution of the digital medium, his journey from IIT Kharagpur to tinsel town and upcoming projects. ‘Gone Kesh’ revolves around the character which Shweta Tripathi plays. A lot of actors would be apprehensive about making their debut with a film which does not revolve them. Did you have any such apprehensions? No, I did not have any such reservations. It is not exactly a family-oriented film. The film is about a small family in which a girl suffers from alopecia. They are trying to get her married but since she is losing hair, they find it difficult to find a groom for her. Sujoy, the character I play, is Shweta’s friend in the college. Is there anything in particular that made you say a yes to the script? When I heard the concept, I thought it would be an intense film but when I read the entire script, I was fascinated by the way they had integrated humour in a film which otherwise deals with a serious subject. You had shot for a film called ‘Chaman Bahar’ before ‘Gone Kesh’. Yes, ‘Chaman Bahar’ is the first film I shot for. After finishing that film, I started shooting for ‘Gone Kesh’. It is a musical film and a lot of VFX is involved in it. The post-production process is taking some time to finish but I am hopeful the film will release soon. You were one of the first actors to gain popularity by working in the digital space. Now, so many big stars are working on it and it has become a huge platform. How do you look back at your journey? Most of the people who were working in the web space wanted to get into films. Web gave them a good platform to showcase their talent. It is great that a new platform has emerged where you can tell longer stories. In films, there is lesser time to portray a story. I came to Mumbai after finishing my engineering course from IIT. I did not know anybody in Mumbai and initially, things were very difficult. I met a few people who were from IIT and wanted to get into the film industry. We started making videos inspired from the people and events around us and they became very popular. After that, the journey has been quite eventful. Where do you want to work more now – films or web? I just want to be part of good content. There are certain stories which are suitable for films and few stories can be told better in a show. I am fine with the idea of working in any medium as long as the content is good. You have made several videos where you have done an impression of Arvind Kejriwal. Now that the election season is round the corner, do you plan to make some videos about politics? Yes, there are plans to do something in that space. I have been a part of several videos where I have impersonated Arvind Kejriwal. Now, I want to do something different. I am doing a lot of shows, some of which are being produced by TVF. I am awaiting the release of ‘Chaman Bahar’ and will start reading some scripts once I am done promoting.